I’ve been a bit quiet for a while for a mixture of reasons – busy working on Wanderer book four (more on that below), work being hectic, the family being poorly and, to be honest, feeling a little overwhelmed. Overwhelmed? Yes. Wanderer’s Escape was featured on Bookbub again at the start of January, and I backed that up with more advertising. The result was over 30,000 downloads and over 2,000 sales of my other books just in January. 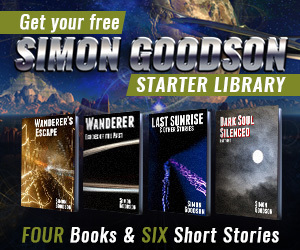 When put together with the figures for the last two years (since Wanderer’s Escape was first published) that’s about 120,000 free downloads and 16,500 sales. Added to that there have been dozens of new reviews, the vast majority of which were positive, and a couple of hundred more people signing up to the mailing list so they know when the next book comes out. With all that going on there were a few oh wow, this is serious moments. I’ve now got my head around it a little more (with the help of my fiancée who keeps my feet firmly nailed to the floor thankfully) I’d like to say welcome to everyone that’s found my writing recently, as well as a huge buy doxycycline in the us thank you to those who’ve been with me a while and whose support and reviews have made this success possible. Anyway, enough rambling. Now for the important stuff. Progress on book four is going well but I’d say there’s still a few weeks till I’m ready to just put it down and leave it alone before returning to it fresh. I’m loving reading through it again and I’m finding it an action packed ride, even though I know where it’s heading. The next book I’m going to write is taking shape nicely. I have a lot of the setting and a fair bit of the storyline worked out. I’m aiming to start actually writing it pretty soon. More on that in the future.